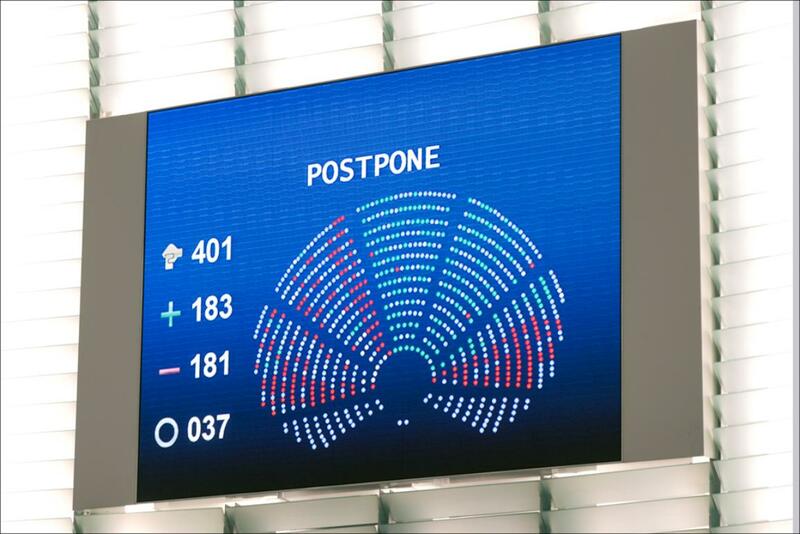 Headlines > EU affairs > Current page:: EP vote and debate on TTIP recommendations postponed: what’s next? EP President Martin Schulz decided late on Tuesday to send the 116 amendments tabled in plenary to the Parliament report on TTIP to the international trade committee for further deliberation. The following morning the debate scheduled on the same issue was also postponed for a later date by the plenary. The decision to return the report to the committee was based on rule 175 of the rules of procedures, the Parliament's internal rulebook. This rule makes it possible to refer a report back to the committee when there are more than 50 amendments and requests tabled for split or separate votes. In this case more than 100 amendments had been tabled. German S&D member Bernd Lange, chair of the international trade committee and responsible for drafting the Parliament's recommendations on the TTIP agreement, said after Tuesday's decision: "We will use the additional time we gained to work towards reaching a stable majority for the TTIP-resolution. The EP can only come forward with a strong message for the TTIP negotiators if our resolution is supported by a broad majority." Early on Wednesday morning, MEPs voted in favour of postponing the plenary debate on TTIP (183 yes, 181 no, 37 abstentions). During a heated debate before the vote, MEPs from different groups spoke out in favour and against this move. The postponement of the TTIP vote is not the first time rule 175 has been used. On previous occasions, for example in the case of the reform of the common agriculture policy, it was invoked to decide whether to go ahead and vote on all the amendments or not. The European Commission represents the member states in all international trade talks, including the ongoing negotiations on TTIP with the US. The Parliament does not take part in these negotiations, but there can be no final agreement without its approval. Parliament has to either approve or reject the final text, although it is not legally able to modify its provisions. However, by drawing up recommendations on agreements such as TTIP, Parliament sends a message on what it wants to see in the final agreement. TTIP is now back on the agenda of the International Trade committee, which has to decide if amendments and split vote requests should be put to a plenary vote. The next committee meeting is on 15-16 June. Parliament's struggle to agree on a common position over the controversial EU-US deal continues after the cancellation of the planned debate in plenary.